There are plenty of dev-teams and individual enthusiasts spending the majority of their time looking for new loopholes and gaps missed by Apple’s security team, and as well as often highlighting potential threats to users, the work is also done for the purpose of jailbreaking and unlocking. Some believe both jailbreaking and unlocking to be one in the same, and although their paths do cross, there is a fundamental difference between these two most popular kinds of exploits. 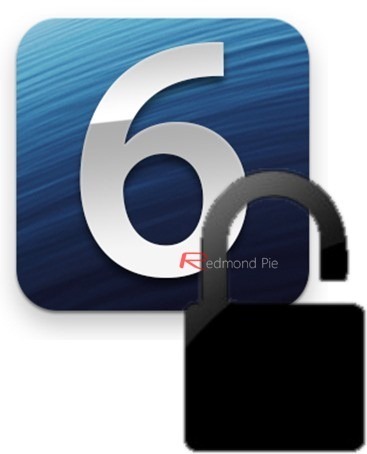 For whilst a jailbreak allows unsigned code to be installed within one’s iOS software, an unlock is a method allowing any SIM to be used on a smartphone – bypassing restrictions usually beset by a carrier. In terms of unlocking, many, if not most carriers offer a way for older smartphones to be unlocked, but this isn’t the case for everybody, and as such, there’s still quite a significant reliance on the work of the wonderful folk taking their time to work out the unlock solutions we sometimes take for granted. If you’ve been preserving your baseband for unlocking purposes over the past couple of years, you’ll be more than familiar with a little jailbreak utility called Ultrasn0w Fixer, and if you were hoping the wait for iOS 6 support wasn’t going to be too tantalizing, then you’re in luck, since it has indeed been updated for iOS 6. The official Ultrasn0w might be updated at some point in the near future, but this Fixer should tide you over until that time. You will of course need your device on a jailbreak iOS 6 (a tethered-only break, at time of writing), with preserved baseband. Without further ado, here’s the quick and easy-to-follow guide. Step 1: Launch Cydia, and hit Manage, then Sources. Step 2: Next, you’ll need to add the iparelhos repository. If you’ve been organized and re-added your sources from iOS 5, then it should already be there, but if not, select Edit and Add, and type http://repo.iparelhos.com before hitting Add Source. Step 3: Next, download the latest official iteration of Ultrasn0w from Cydia. Please ensure you install the official Ultrasn0w first BEFORE installing the Fixer, otherwise it will not work properly. Step 4: Now browse for Ultrasn0w Fixer for 6.0 utility in Cydia. Next, tap the Install button and let Cydia work its magic. That’s it! you should now have an unlocked iPhone. If any one of you folks is having a difficult time trying to սոⅼοсking AT&T devices, you can check out just google atttiphooneuunlocking, it’s one of the few sites that’s still in a posture to ՍΝᏞΟᏟΚing AT&T phones after AT&T had its database renewed, which means AT&T denied many cheap սոⅼοсking owners’access with their database.